← What does it take to become a Solar Community? Climate Change and Superstorm Sandy? What did you think as you watched Hurricane Sandy evolve into Superstorm Sandy? 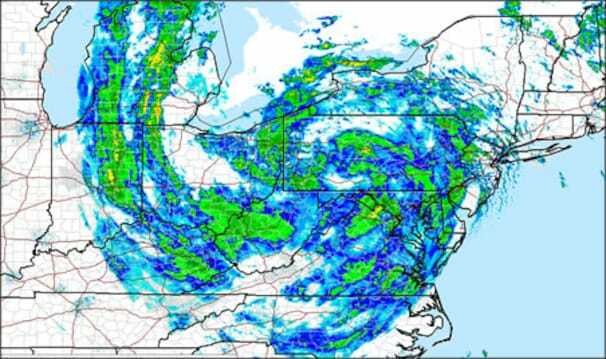 While only a category 1 storm, Sandy set a record for size with a width of over 1,000 miles and record setting pressure of 940 Millibars. The lower the pressure, the stronger the storm. Per CNN, When hurricane hunter aircraft measured its central pressure at 940 millibars — 27.76 inches — Monday afternoon, it was the lowest barometric reading ever recorded for an Atlantic storm to make landfall north of Cape Hatteras, North Carolina. The previous record holder was the 1938 “Long Island Express” Hurricane, which dropped as low as 946 millibars. Bloggers and journalists are all making a connection of this storm with climate change. What is the connection between this storm and climate change, global warming, arctic ice melting, sea water levels rising and whatever goes with those measured phenomena. Well maybe it could just be the continued and increasing burning of fossil fuels that leads to the unabated and historic rise in CO2 levels in the atmosphere. Maybe its fueled (no pun intended) from the thirst for huge profits for our major oil and coal companies that keep our politicians from recognizing the facts and acting on them. But whatever the cause may be, somethings happening. Whether you are a denialist or a believer in climate change wouldn’t you think that mankind should do whatever is humanly possible to try to stop the formation of these superstorms? 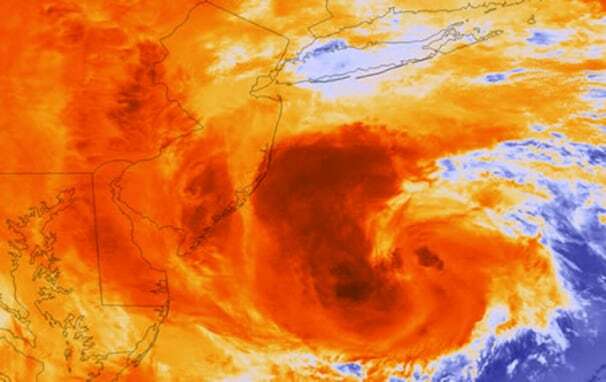 What can we do besides watch storms like Sandy continue in the future? Urge your Government Officials to work toward reducing CO2 emissions and develop clean energy alternatives now, not later! Here’s a quote I read recently in the book “Storm” by George R. Stewart from Sir Napier Shaw from the 1919 Manual of Meteorology:I 123 and inventor of the term Millibar. Unfortunately Superstorm Sandy was not a fairy tale. This entry was posted in Alternative Energy, Climate Change, Economics, Environment, Political Action and tagged Alternative energy, Climate Change, Political Opinion. Bookmark the permalink. 1 Response to Climate Change and Superstorm Sandy? Another great post – let’s hope th Hurricane Sandy raises awareness of the fact of Climate Change, and finally apurs our national, state and local governments to address the serious issue! Here in Payson let’s consider what WE as a community can do to decrease our Carbon “footprint”.